It’s often difficult to distinguish normal mental health from mental illness because there’s no easy test to show if something’s wrong. Mental health conditions are diagnosed and treated based on signs and symptoms, as well as on how much the condition affects your daily life. 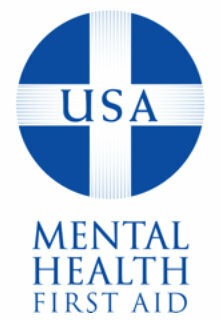 The information on these pages provides basic information on mental illness and when and how to seek professional help. Many people who have mental health conditions consider their signs and symptoms a normal part of life or avoid treatment out of shame or fear. If you’re concerned about your mental health or a loved one’s mental health, don’t hesitate to seek advice. Consult your family doctor, make an appointment with a counselor or psychologist, or encourage your loved one to seek help. With appropriate support, you can identify mental health conditions and explore treatment options, such as medications or counseling. Mental illness is a serious medical illness that affects approximately 1 in 4 families. Mental illnesses disrupt a person’s thinking, feeling, mood, ability to relate to others and daily functioning. Serious mental illnesses include major depression, schizophrenia, bipolar disorder, obsessive compulsive disorder (OCD), panic disorder, post-traumatic stress disorder (PTSD) and personality disorders. The good news about mental illness is that recovery is possible. In addition to medication, psychosocial treatment such as cognitive behavioral therapy, interpersonal therapy, peer support groups and other community services can also be components of a treatment plan and assists with recovery. The availability of transportation, diet, exercise, sleep, friends and meaningful paid or volunteer activities contribute to overall health and wellness, including mental illness recovery. • Mental illness affects 1 in 4 families, but mental illnesses fall along a continuum of severity. Even though mental illness is widespread in the population, the main burden of illness is concentrated in a much smaller proportion-about 6 percent, or 1 in 17 Americans-who live with a serious mental illness. • The U.S. Surgeon General reports that 10 percent of children and adolescents in the United States suffer from serious emotional and mental disorders that cause significant functional impairment in their day-to-day lives at home, in school and with peers. • The World Health Organization has reported that four of the 10 leading causes of disability in the US and other developed countries are mental disorders. By 2020, Major Depressive illness will be the leading cause of disability in the world for women and children. • Mental illness usually affects individuals in the prime of their lives, often during adolescence and young adulthood. All ages are susceptible, but the young and the old are especially vulnerable. • Without treatment the consequences of mental illness for the individual and society are staggering: unnecessary disability, unemployment, substance abuse, homelessness, inappropriate incarceration, suicide and wasted lives. The economic cost of untreated mental illness is more than 100 billion dollars each year in the United States. • Treatments for serious mental illnesses today are highly effective: between 70 and 90 percent of individuals have significant reduction of symptoms and improved quality of life with a combination of treatment, therapy and supports. • Early identification and treatment is vitally important. By ensuring access to effective treatment, recovery is accelerated and the further harm related to the course of illness is minimized. • You can get referrals from your family doctor, clergy or local Mental Health America office and crisis centers. • Your insurance company can provide a list of providers who are in your plan. • Eligible veterans can get care through the U.S. Department of Veterans Affairs. For more information, go to www.va.gov/health or call 1-877-222-8387. • Your local health department’s mental health division or community mental health center provides low-cost treatment and services. These services are state funded and are obligated to first serve individuals who meet “priority population criteria” as defined by the state Mental Health Department. • Your company’s employee assistance program (EAP) can issue a referral to a provider. Reach out to your Human Resources office to get more information about your company’s EAP. • Medicare offers a list of participating doctors on its website, www.medicare.gov. (Click on “Find a Doctor”). • Psychiatrist is a medical doctor with special training in the diagnosis and treatment of mental and emotional illnesses. Like other doctors, psychiatrists are qualified to prescribe medication. A Child/Adolescent Psychiatrist has special training in the diagnosis and treatment of emotional and behavioral problems in children. • Psychologist has a doctoral degree in psychology, two years of supervised professional experience, including a year long internship and is trained to make diagnoses and provide treatment. • Clinical Social Worker is a counselor with a master’s degree in social work trained to make diagnoses and provide treatment. Licensed Professional Counselor is a counselor with a master’s degree in psychology, counseling or a related field trained to diagnose and provide treatment. • Mental Health Counselor is a counselor with a master’s degree and several years of supervised clinical work experience trained to diagnose and provide treatment. • Certified Alcohol and Drug Abuse Counselor is a counselor with specific clinical training in alcohol and drug abuse trained to diagnose and provide treatment. • Marital and Family Therapist is a counselor with a master’s degree, with special education and training in marital and family therapy trained to diagnose and provide treatment. • Pastoral Counselor is a member of clergy with training in clinical pastoral education trained to diagnose and provide treatment. On your first visit, the therapist or doctor will want to get to know you and why you called him or her. The therapist will want to know what you think the problem is; about your life; what you do; where you live and with whom you live. It is also common to be asked about your family and friends. This information helps the professional to assess your situation and develop a plan for treatment. • Cognitive-behavioral therapy (CBT) has two main aspects. The cognitive part works to develop helpful beliefs about your life. The behavioral side helps you learn to take healthier actions. • Interpersonal therapy focuses largely on improving relationships and helping a person express emotions in healthy ways. • Family therapy helps family members communicate, handle conflicts and solve problems better. • Psychodynamic therapy helps people develop a better understanding about their unconscious emotions and motivations that can affect their thoughts and actions. • Art therapy can include using music, dance, drawing and other art forms to help express emotions and promote healing. • Psychoeducation helps people understand mental health conditions and ways to promote recovery. As you progress through the therapeutic process, you should begin to feel gradual relief from your distress develop self assurance and have a greater ability to make decisions and find comfort in your relationship with others. Therapy may be painful and uncomfortable at times but episodes of discomfort occur during the most successful therapy sessions. Mental health treatment should help you cope with your feelings more effectively.